These terms and conditions (the "Terms and Conditions") are the terms and conditions upon which A J Guttridge Ltd ("we/us") makes this website (the "Guttridge Flowers Site") available to you and any of our services which are accessible on or via the Guttridge Flowers Site (the " Guttridge Flowers Service"). These Terms and Conditions govern your use of the Guttridge Flowers Site and the Guttridge Flowers Service. 1.1 All Guttridge Flowers Products as depicted on this website (as may be varied from time to time) are available almost everywhere in the UK, Channel Islands, Ireland and Isle of Man - or as otherwise directed. 1.2 Certain Guttridge Flowers Products may be delivered by us in bud to ensure longer life. 1.3 Some Guttridge Flowers Products, Flowers and Plants may be harmful or poisonous, if you require further information before submitting an order please contact the Guttridge Flowers Customer Service Team using the contact details set out in Section 6 below. 1.4 All Guttridge Flowers Products are subject to availability. In the event of any supply difficulties, we reserve the right to substitute an Guttridge Flowers Product of equivalent value and quality without notice. 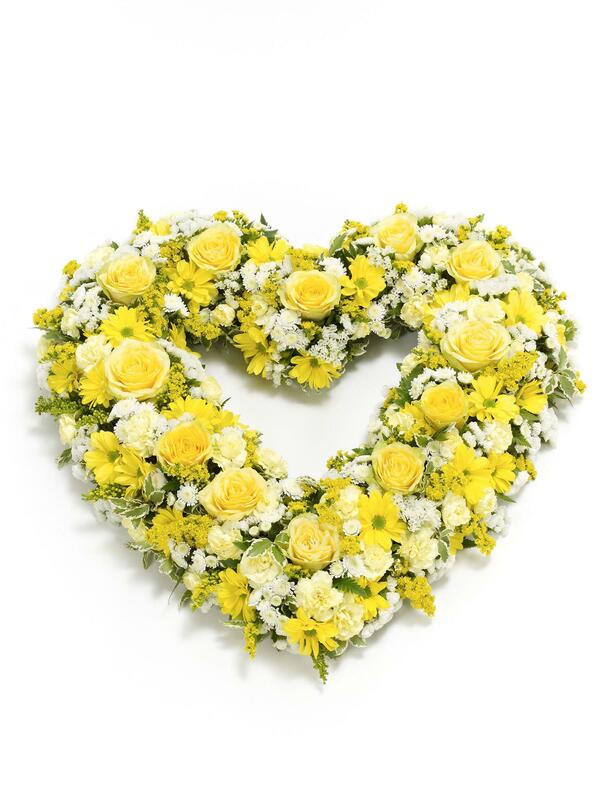 1.5 In the event that we are unable to supply the Guttridge Flowers Product or any substitute product to you at all, we shall notify you as soon as is reasonably possible and shall reimburse your payment in full and in any event no later than 30 days after the intended delivery date. 1.7 Some Guttridge Flowers Products are unavailable for Same-day and Guttridge Flowers Express Delivery. 1.8.1 We reserve the right to replace brands shown to equal value and quality. 1.8.2 Certain ranges are available in selected delivery areas only - product range may be restricted for certain delivery locations. 1.8.3 Under the Licensing Act of 1964 (UK) and 1976 (Scotland) it is an offence for any person under 18 years to buy, or attempt to buy, alcoholic liquor. It is an offence under Sections 32 and 33 of the Intoxicating Liquor Act 1988 (Ireland) for any person under 18 to buy, or attempt to buy, intoxicating liquor. It is an offence under Licensing (Northern Ireland) Order 1990 for any person under 18 to buy, or attempt to buy, intoxicating liquor. 1.8.4 Alcoholic gifts are distributed to selected areas in association with a licensed third party, for further information regarding this supplier contact our Customer Service Team. 2.1 Prices listed within the Guttridge Flowers Service are valid for a maximum of 14 days of submitting your purchase form. 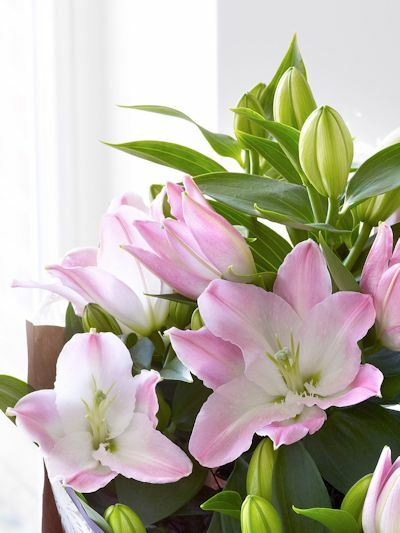 2.2 Prices include VAT for deliveries within the UK, Ireland and Channel Islands, but exclude Interflora Delivery (£4.99) and the transmission charge for overseas orders (£6.99). 3.1 You will be given clear instructions to follow to navigate the Order Form and you shall be required to provide us with your complete personal details, including accurate postcode, together with those of the intended recipient and all necessary payment details. We accept payment by all major credit and/or debit cards other than Electron, department store cards, American Express and any other credit and/or debit cards as we may specify from time to time. 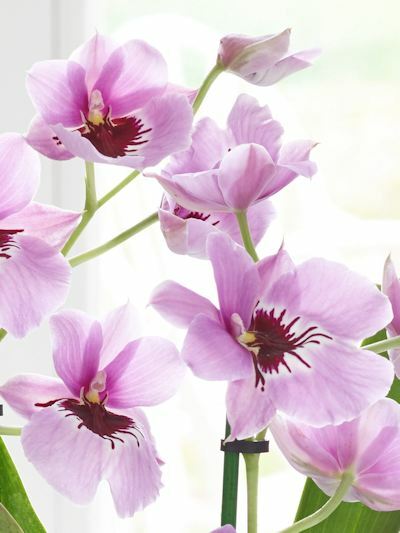 By clicking on the 'check out' button on the Order Form, you are consenting to be bound by our terms and conditions contained in these Terms and Conditions and appearing anywhere on the Guttridge Flowers site. 4.1 Except where stated, Standard Delivery is next day, and a charge of £4.99 will be applicable within the UK, Ireland, Isle of Man and Channel Islands. If you request delivery to remote areas which are not normally delivered to by us or our selected affiliates you will be advised of any additional charges as soon as possible upon receipt of your Order Form. Selected products are not available for delivery to certain areas - where possible we will advise you of these restrictions before you place your order. 4.2.2 'Before 1pm'/'after 1pm' service is available at a charge of £3 in addition to standard Delivery of £4.99. This delivery option is not currently available when ordering online so please call 01656783519 to place your order with a member of our telesales team. 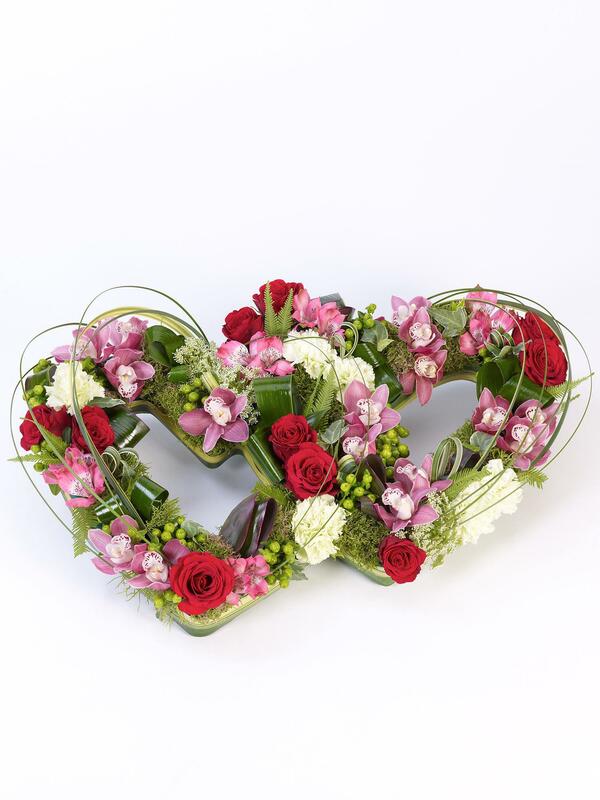 The service is offered to flower orders for delivery within the UK, Ireland, Isle of Man and Channel Islands. Should you require this delivery service, your Order Form must be submitted (requesting this service) by 1pm 24 hours in advance of the required delivery date (1pm Saturday in the case of Monday deliveries). This delivery service is offered subject to availability and is not available for certain products. The service may be withdrawn without notice during busy periods. 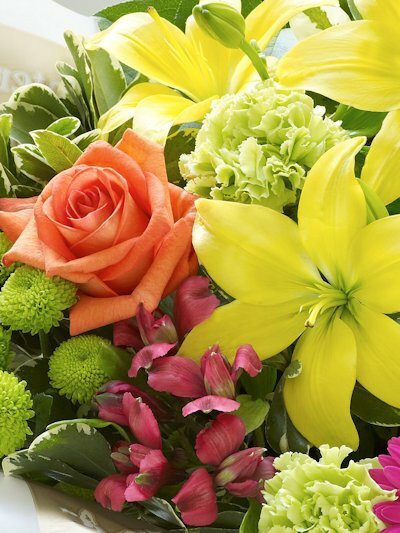 4.2.3 '3 hour delivery' service is available at a charge of £6.00 in addition to Interflora Delivery of £4.99. 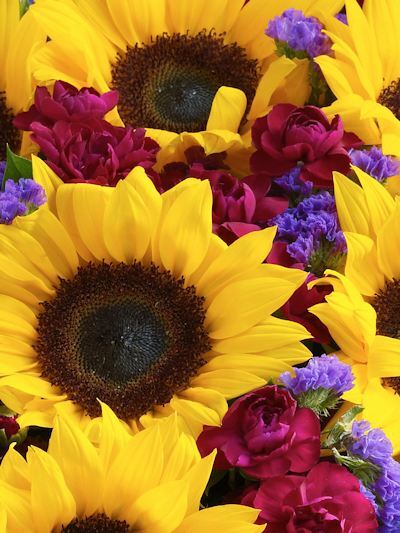 The service is offered for flower orders to selected delivery locations within the UK, Ireland, Isle of Man and Channel Islands. Should you require this delivery service, your Order Form must be submitted requesting this service. This delivery service is offered subject to availability and is not available for certain products. The Service is not accessible via our website and so should you wish to take advantage, call 01656783519 to speak to one of our florists so this can be arranged. The service may be withdrawn without notice during busy periods. This delivery option is not available for orders requesting Champagne as part of the order. 4.3.1 Within our Plants Range, some items will be delivered via courier to UK mainland addresses. These items are available for next day delivery on a date of your choice between Monday to Saturday. When ordering, we'll advise you of the first available delivery date for your chosen item. Whilst every effort will be made to deliver on your chosen date, the exact delivery date cannot be guaranteed. For Scottish Highlands, Islands and Northern Ireland, please allow an additional 48 hours after the requested delivery date. These items are not currently available for delivery to the Channel Islands, Scilly Isles, BFPO addresses or hospitals. 4.4 On acceptance by us of your Order Form we will advise you by e-mail confirmation of the intended delivery date. Where same day delivery is available for the product you are ordering for delivery within the UK, Ireland, Isle of Man and Channel Islands we must receive your Order Form by 2pm (prevailing British local time). Delivery of selected alcohol products will be made within a 48 hour period of the requested delivery date - if this is the case for the product you are ordering we will advise you before placing your order. We will process Order Forms received on Sundays or Public Holidays the next working day. We do not deliver on Sundays or public holidays but in this case we will deliver the Guttridge Flowers Product you request on the next working day. For deliveries made by courier or Royal Mail please allow up to 48 hours from the requested delivery date. Certain areas of Scotland, Ireland and Wales - allow an additional 48 hours after the requested delivery date. 4.5 Incorrect personal details may lead to problems or delays in delivery, so before placing your order, please ensure that you have included the full address details, including accurate postcode of the intended recipient and telephone number, together with your daytime contact telephone number or e-mail address so that we can notify you in the event that any delivery problems are encountered. 4.6 Incorrect Delivery date information may lead to delivery problems. Please ensure that the correct delivery date is specified in the delivery date field provided. 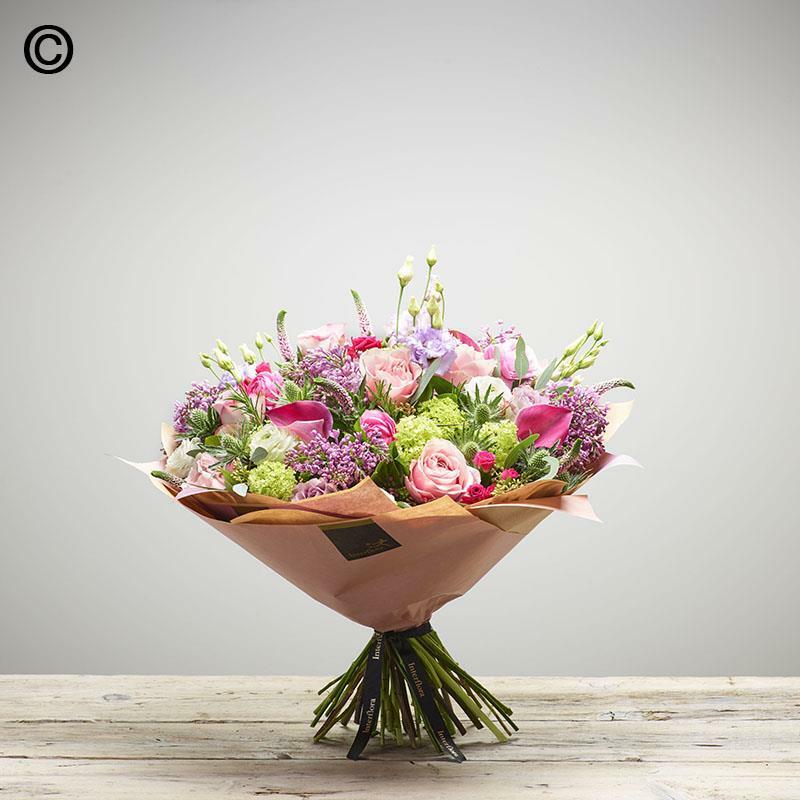 4.8 Whilst we agree to use all reasonable endeavours to ensure that delivery will be on the requested delivery date or during the delivery period, you acknowledge that actual delivery will be via a local florist or for certain orders via third party courier or postal service. In very occasional circumstances delivery on the requested terms will not be possible, in such circumstances you will be given prior notice wherever possible and we shall either make alternative arrangements or shall reimburse your payment in full in accordance with clause 1.5 above. Goods delivered via third party services are despatched 24 hours before the requested delivery date for most UK mainland addresses. For deliveries via third party to Northern Ireland, Wales and some areas of Scotland, please allow up to an additional 48 hours after the requested delivery date for delivery to be made. 4.14 It is possible to select a preferred delivery time within the order process for items ordered from the 'Sympathy' & 'Funeral' product ranges. This option should be used only for orders requesting delivery to funerals or funeral parlours. Whilst every effort will be made to ensure your order is delivered prior to the time selected, no guarantee for delivery by the time specified can be given. To assist us in meeting your preference, please ensure your order is placed at least two working days prior to the preferred delivery time. 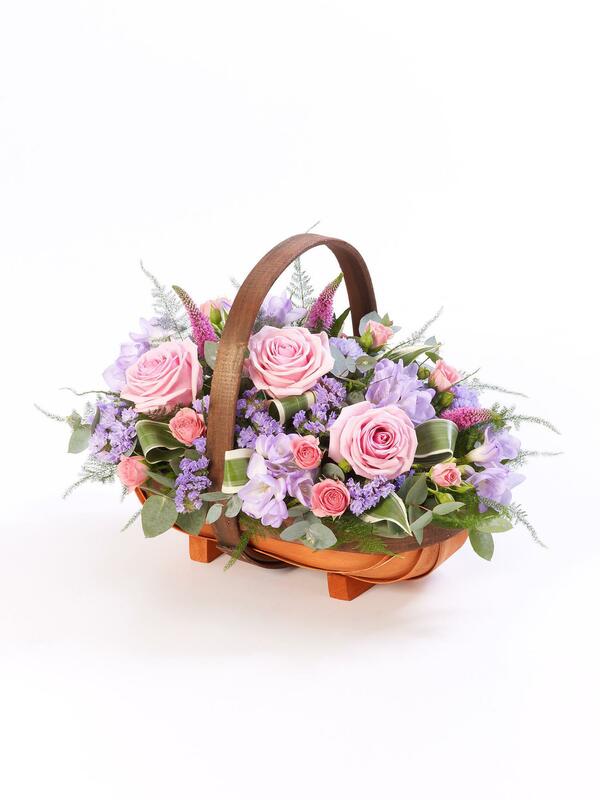 4.15 In the instance of there being difficulties in delivering your order to the intended recipient we (including the florist or third party delivering your order) reserve the right to contact the recipient using the contact details you provide on the Order Form. 4.16 When placing your order you are able to specify further delivery information using the 'Delivery Information' field provided. This is intended to provide further guidance to the party delivering your order which isn't included within your address information – for example to specify floor number, or hospital ward. We reserve the right to not action any delivery requests specified in this field which we deem unacceptable and will use other elements of address information provided elsewhere on the order form to fulfil your order. 4.17 Certain Guttridge Flowers Products, will be delivered by courier or Royal Mail,. 4.18 Before placing your order, please review delivery cut-off times & prices - accessed from the Product Details page of each product. 5.1 Orders may be amended or cancelled up to 24 hours before the intended delivery date for UK, Ireland and Channel Islands. Where delivery is to be made via courier, Royal Mail or other third party carrier orders can be amended or cancelled up to 3 working days prior to delivery date requested - this applies to products such as plants, & wines. Where delivery is to be made outside UK, Ireland and Channel Islands please provide notification 48 hours before the intended delivery date. 5.2 To amend or cancel your order, please contact the Guttridge Flowers Customer Service Team from 8.30am until 5.30pm Monday to Friday and 8.30am until 5pm on Saturday using the contact details set out in Section 6 below. 6.2 Our Customer Service Team is available from 8.30am until 5.30pm Monday to Friday and 9am until 5pm on Saturday. 6.3 Because of the perishable nature of most Guttridge Flowers Products and in order to assist us in resolving any complaints quickly and to our mutual satisfaction, we advise you to make any complaint within 1 working day of the date of delivery or intended delivery of your purchase. 7.1 Whilst we agree to use our reasonable endeavours to ensure that the Guttridge Flowers Site and/or the Guttridge Flowers Service is fully operational and error-free we cannot guarantee this and, therefore, accept no responsibility for any defects and/or interruption of the Guttridge Flowers Site and/or the Guttridge Flowers Service and shall be released from our obligations under these Terms and Conditions in the event of any cause beyond our reasonable control which renders the provision of the Guttridge Flowers Site and/or the Guttridge Flowers Service impossible or impractical. (b) Subject to clause 7.2(a), our liability in contract, tort (including negligence and breach of statutory duty) or otherwise arising by reason of or in connection with your Order Form with us shall be limited to a multiple of  times the price you have paid for the Guttridge Flowers Products. (c) Subject to clauses 7.2(a) and 7.2(b) above we exclude all liability for any claims, losses, demands and damages, including without limitation, any costs, loss of profits, loss of contracts or business opportunity, loss of data and any other consequential, incidental, special or punitive damages, even if we have been advised of the possibility of such damages, arising directly or indirectly out of or in any way connected with your use or inability to access the Guttridge Flowers Site and/or the Guttridge Flowers Service, whether arising in contract, tort (including negligence), under statute or otherwise PROVIDED THAT nothing contained in these Terms and Conditions affects or will affect your or the recipient's statutory rights in relation to the quality, fitness or description of the Guttridge Flowers Products supplied. 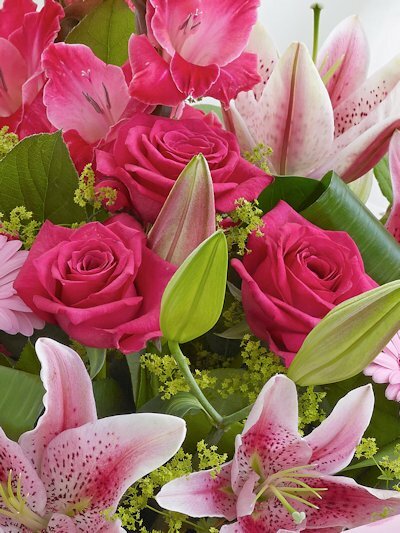 8.1 'Interflora.co.uk discount voucher codes' (also abbreviated to 'Voucher codes') can only be used against purchases made on interflora.co.uk. 8.2 Voucher codes may only be redeemed on interflora.co.uk - we are unable to accept voucher codes through Interflora Telesales or Member shops. 8.5 Voucher codes must be entered at the point of placing your order on interflora.co.uk using the relevant part of the order form. 8.9 Where the voucher code entitles you to a percentage discount, the discount will not be applied to the delivery charge ('delivery' includes additional delivery services, which are charged in conjunction with Interflora Delivery, for example 'before 1pm delivery' surcharge). 8.11 Selected voucher codes may be restricted for use against specified products such as items from the Simply Interflora range - where possible, details of further restrictions will be communicated at the point where we promote the voucher code to you. 8.12 Voucher codes may also be set by Interflora to a maximum number of redemptions - if we are not able to accept the discount code you have entered for this reason we will advise you accordingly in the order process and the discount will not be applied. 8.14 We are unable to accept Interflora Gift Vouchers or Flora-Cheques on interflora.co.uk. 8.15 We cannot be held responsible for non-availability of interflora.co.uk which may prevent use of Voucher codes.